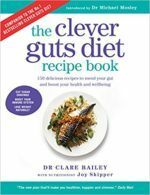 The gut controls your mood through the production of a range of different chemicals as required, so damage to your flora by food preservatives, et al, will compromise this ability, affecting health and wellbeing. Modern medical response to this is to replace the chemicals that the compromised gut can no longer produce, using synthesised equivalents, with little or no understanding as to the exact type or the correct quantity required, instead of healing the ailing flora. Purely my gut feeling but I don’t think that the majority of society could handle this concept! Recommendation at this Christmas time, fermented Brussel Sprouts….! Could there be a link between toxoplasmosis and dementia…..? Just a thought…..!